As Washington continues sending its development assistance aid in the form of drones to bomb civilians illegally inside Pakistan’s borders, allegedly to go after Taliban fighters, Pakistan Prime Minister Nawaz Sharif recently completed a trip to Beijing where he met Chinese Premier Li Keqiang, his first foreign visit after the May elections. 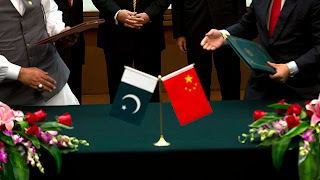 The Pakistani Federal Cabinet subsequently approved the start of negotiations and signing of a Memorandum of Understanding on developing a "China-Pakistan Economic Corridor"long-term plan, and an action plan between the development ministries of the two countries. The core of the new agreements between China and neighboring Pakistan calls for accelerated development of a 2,000-km trade infrastructure corridor linking Gwadar Port on Pakistan’s Indian Ocean coast to Kashgar, the westernmost city in China’s Xingjiang province. 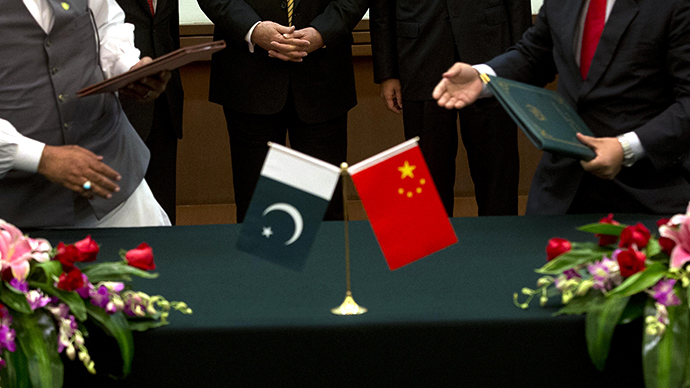 Pakistan has offered China a‘trade and energy corridor’ via Gwadar, linked to inland roads. The plan would import oil from the Middle East, to refineries at Gwadar and sent on to China via roads, pipelines or railway.